For most of my adult life, I have been a smoker. I have wasted a small fortune. I've stank like an ashtray. I've "hidden" my filthy habit from my family. I've been treated like a social outcast. I've huffed & puffed my way through everyday activities. I've been controlled by the cigarettes. But more importantly, I have been paying for the privilege to cut my life short....What's the sense in that? ?I am 34 years old. My sister died at 35 from an aggressive cancer that may have only been in her systenm for 8 weeks! I know all to well the dangers of smoking. Despite this, i had continued to smoke. I had tried so many ways to quit, patches (to itchy), lozenges/gums (taste awful), Zyban(my head swelled up), cold turkey(turned me into a psycho wench! Non of the above worked. My almost mother in law successfully quit smoking with hypnosis 30 years ago and I thought i might try this method. As fate would have it, the queues at my local branch were moving slowly one day and I stumbled across some advertising for Lotus Quantum Synergy/We Change Lives. I grabbed a business card, did some research & made the call. Best desision EVER!!!!!!!! When I began training with Graham 3 years ago, I had only just moved to Melbourne from Sydney. I was overweight, depressed, lonely, in an abusive relationship and working as an administration temp. Things were tough for me. After a brief search I found Lotus Quantum Synergy and decided to do something different.......EXERCISE!! Lotus Quantum Synergy / We Change Lives had everything that I was after - the class sizes were small; the attention given....personal; and the environment.....safe and welcoming. Since I joined I've quit smoking, I take good care of my health and last year I even ran the "race to the G" 10 Km fun run. I have grown so much in confidence I now run my own business. I am a completely different person and so much of that is due to Lotus and Graham. I really hope you take Graham up on this offer and join us at Lotus - we love welcoming new members into our family and look forward to having yours be the next lotus success story...I look forward to meeting you in person! 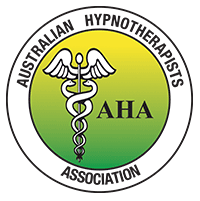 Hi Graham, I’m happy to say iv’e remained smoke free thanks to the hypnotherapy. I can’t thank you enough mate. I even went out with my partner into the city for a bit of a night out and didn’t even think about ducking outside for a quick smoke. A few small cravings hear and there but they were gone in a few seconds thanks to the techniques you taught me. Thanks again Graham. I can’t believe how not smoking is already making such a big difference in my life. You literally do change lives!